This building needs no introduction. 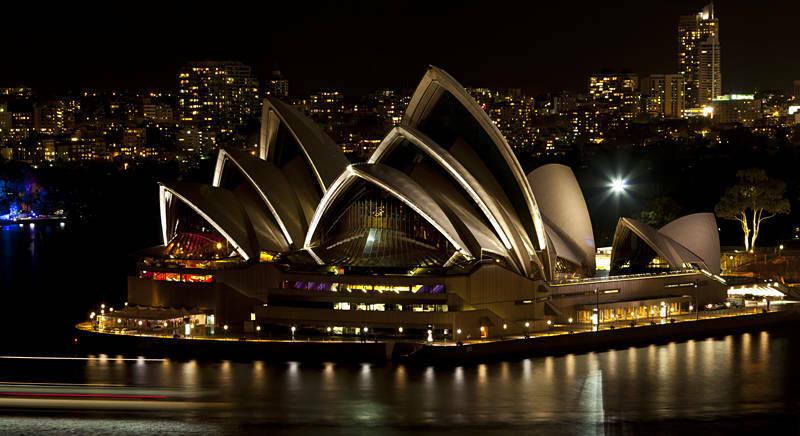 The Sydney Opera House grabbed my attention from the first moment I saw it. We approached it by walking along the equally impressive Sydney Harbour Bridge. We then followed the Harbour around via The Rocks and Circular Quay until we reached the viewpoint from the Botanic Gardens on the far side. After waiting for the sun to go down we walked back along the bridge where I took this shot. As you move around the building it seems to change shape and when night falls its character changes again. Beautiful night photography. Love your work.